It starts with understanding that slowing down doesn’t mean less productivity. It’s about understanding the Law of Diminishing Return that’s best exampled by the old tale of the woodsman needing to stop and sharpen his saw. Slowing down one’s life is about simplifying, understanding and focusing on what’s truly important to YOU and then savoring those moments. Otherwise we miss much of the experience, and it’s those experiences — whether good or bad — that teach us something. That’s what experience is for. Asa part of my series about “How to Slow Down To Do More” I had the pleasure to interview Dwain DeVille. 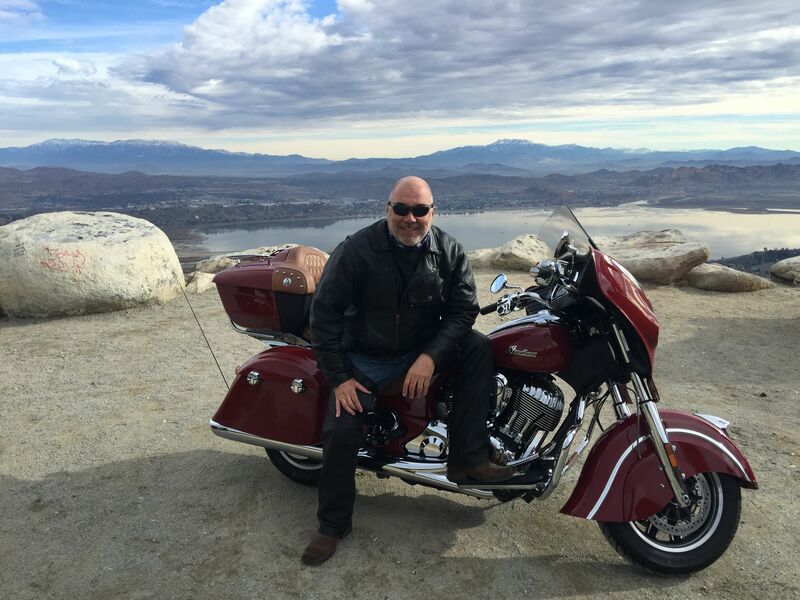 Dawin is an author, avid biker and business advisor, Dwain DeVille has more than 30 years of experience in business and has worked with everything from small enterprises to Fortune 100 companies. After a bout with kidney cancer turned his world upside down, Dwain learned to balance his passions without sacrificing his business goals. Now, through his book, The Biker’s Guide to Business, and his executive conference, The CEO Ride, he’s teaching others to do the same. At the age of 48 I survived kidney cancer. This compelling event showed me loud and clear that while the credits hadn’t run on this movie called my life yet, they could at any time…so I needed to make the next phase count. 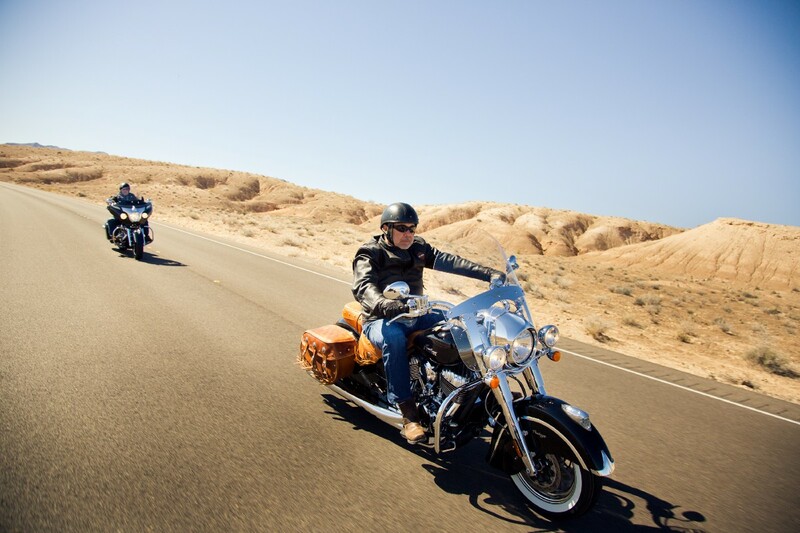 I then came up with the idea for a first-of-its-kind business conference; one where other hard-charging entrepreneurs like me could meet up for a week to immerse ourselves in business, the mind-clearing benefits of motorcycling and fellowship. Turns out this cancer served as the catalyst for one of the best experiences of my life and as such, set my direction in both life and business. Our state of being rushed has been somewhat of a societal progression. As a gray-bearded member of the generation that served to bridge technology, I can remember when there were pagers, then car phones followed by smartphones with the ability for voicemail, email and text. Each phase increased both the amount of relative data hitting us as well as its pace, while equally reducing the subsequent response time expected from each of us. In other words, we’re either in a state of FOMO or being pushed as more and more we allow background noise, and clutter serves to divert our focus from the present. Stress is grounded in our fight or flight response mechanisms. So, as mentioned above, we can find ourselves in a constant state of bouncing between one or the other, eventually losing our ability to focus and ramping up our stress levels. This leads us to live in a constant state of catch-up knowing that more and more is falling on the pile of things to do in front of us. As such we can lose our sense of what’s important, and our sense of accomplishment goes from doing something well to doing many things not as well. We’ve an old saying in the South that “It’s difficult to remember our goal was to drain the swamp when up to our butts in alligators.” Productivity is a matter of focus more than time, making all this background noise a killer. Wake up early. As a navigator of companies, my days are rarely my own when dealing with multiple clients and their issues. I have a home office and make the two hours between 6–8am MY time. It’s quiet, and I spend the first 5–10 minutes reading “fluff” such as sports and other news that doesn’t apply to the fabric of my day. It’s akin to stretching before working out. It gets my mind moving a bit, and I can then better focus when the emails and texts start flying. Use voice and email for their intended purpose. They’re designed to park both necessary and unnecessary interruptions while we maintain focus on important tasks. They don’t need to be answered immediately nor should they — so finish what you’re doing and then go there. My clients and friends know that I’m always available unless I’m not and trust that leaving a voicemail, email or text means I’m busy but will answer in short order. My motorcycle. There’s nothing better after a very long day of meetings than to take a 30-minute ride through my part of town or let my mind wander on a long ride through the countryside. It provides my moments of Zen. As I answered earlier, my CEO Ride allows hard-charging business owners to ride and allow their brains to dig into the deep recesses of their minds in order to clear away the background noise and detritus that builds up over time. I’ve not worn a watch for over two decades. Not having something on my wrist to habitually glance at allows me to always be in that moment and not worry about what’s coming next. It also allows for a more natural flow to meetings in that we may have carved out an hour for this conversation but if done in 30 minutes so be it…conversely, if it needs 90, we let it flow to a natural conclusion. Remove myself from the business and think. I take that big-thought project down to my favorite coffee shop, park, lakefront or pub and sit there with it. My office is just packed with distractions, and leaving it allows my brain to “breathe” and wander a bit, all the while processing what I’ve come to think about and as such, find a new angle. In fact, the first draft of these answers was done over a two-hour stint in a quiet corner of my favorite pub. My phone and pad go into the office by 7 p.m. every night. This allows me to have a few hours before bedtime to read, watch TV or simply veg out. Yes, I check it before bed but only to ensure there’s no family emergency, etc. that I cannot deal with in the morning. It’s not just being in THE moment, but in YOUR moment. There are a few things I’m selfish about and time is one of them. I apply the 80/20 rule to life in that I try to do what I’m most passionate about 80 percent of the time and the stuff I have to do the rest. It’s not always “jumping up and down” passion but the “holds my attention” passion. There’s a difference. Mindfulness requires a bit of selfishness in terms of owning our schedule. Success in business requires we live by a schedule, and we sometimes tend to follow our schedule much like Ron Burgundy mindlessly reading whatever is on the teleprompter. A client recently asked me how to begin taking a week off here and there or long weekends for family time, and my response was simple — write it down on your calendar IN INK. When meeting with someone, leave your phone in the car or turn it off. I heard Simon Sinek say that when going to dinner with friends, someone serves as the designated phone holder — meaning they are the only one to bring theirs into the restaurant in case it’s needed. This way, everyone can better be in the moment. Also, remember that if you’ve put yourself in this environment, i.e. meeting, lunch, motorcycle ride, then it’s incumbent upon you to truly experience it. Otherwise, why did you schedule it? First, there is never music or news playing in the background whether in my office or the car as I don’t want the distraction or background clutter. The thing to remember about being the most connected society in history is that whatever happens can be retrieved and viewed at a later time. So watch, listen or read on your time. Conversations at work are also powerful moments, as teaching, coaching or mentoring others is a great way to maintain mindfulness. The key there is listening to our own words and experiences and thereby reminding ourselves of what we’ve learned but have perhaps forgotten. I’m still in my infancy with podcasts so I will go old school on you in terms of books, beginning in order of my experience: Alan Watts, Deepak Chopra, Wayne Dyer and Eckhart Tolle. Another book that was extremely influential was Visionary Business by Marc Allen. But perhaps the most influential in my development is Joseph Campbell, author of The Hero’s Journey. He recorded a series of interviews with Bill Moyers discussing “The Power of Myth” that should not be missed. I have two. One for confidence and commitment, the other for understanding. First is Joseph Campbell who said, “If the path before you is clear, you’re probably on someone else’s.” This has helped me maintain the confidence and commitment to manifest my dreams, and as such has me doing this interview. 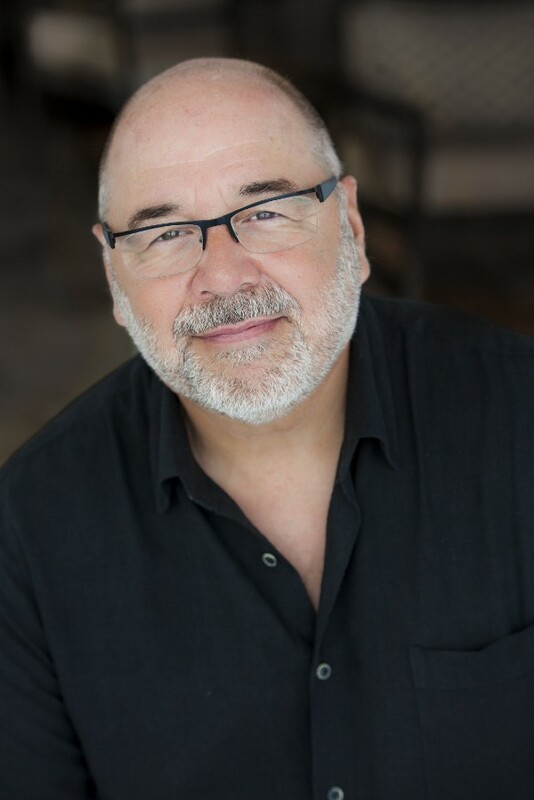 The second is Marc Allen, author of “Visionary Business,” who in a conversation told me “When faced with a disappointment, stop and ask yourself — What was the appointment?” There are no failures in life, just tuition for lessons learned — but only if you stop and take the time to find those nuggets of hard-earned wisdom. Courage. To dream big and then live it. Courage enough to quieten the background noise of those who doubt and only listen to your soul, then f’ing go for it. Courage to support someone even if you doubt their direction. Too often those who “care about us” warn us not to do this or that, to caution us before we do something we’ll regret. Hell, the things we really regret are those we’ve chosen not to do, so if you care for someone, have the courage to both urge them to go for it and be there for support in case things don’t work out. Not to say I told you so, but to ask what was learned and what can be done differently next time. Then urge them to go for it again! Thank you so much for these insights. This was so inspiring!